A friend sent me the link to this video and I just love it. How can a song go wrong with doodh malai and sooji ka halwa. The song has the feel of nursery rhyme meets folk meets country meets pop meets fusion meets all sorts of other things I know nothing about. But for me it was about nostalgia as much as the mixing of sounds. The same thing that had made me love the Jazz renditions of Nusrat Fateh Ali Khan’s qawallis in Brooklyn, makes me nod my head to this; and smile. TEE-M (Tariq Mirza) grew up in Karachi, Pakistan hearing rock/pop on the short-wave radio, listening to street musicians playing the tunes of the land, and learning to play on a hand-me-down guitar. 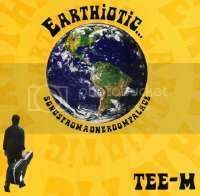 TEE-M recently completed his first album EARTHIOTIC, which made it’s worldwide debut on “Rock 50” internet radio show on WPMD.org. TEE-M has toured for Starbucks, and is featured in a short film, The Ultimate Song (according to New York Times, “a real winner”), along with the likes of Springsteen, Jackson Browne, Wayne Kramer (MC5) Tom Morello, Ice T, Steve Earle, and others. 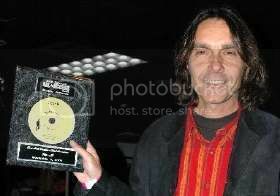 The film has been shown at Farm Aid and SXSW. 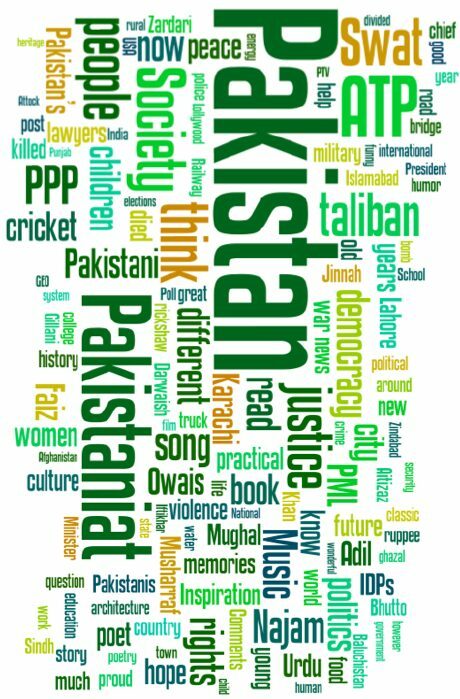 Pakistani diaspora needs more of tee-m for intelligent connection. Will there ever be a tee-m concert on LUMS grounds or 6th Road Rawalpindi campus? then sings “Aao” it sounds like native English speakers saying “Ow!” when they hurt themselves. Then he adds a “hard C” sound (the K) and it sounds like he’s referring to adding C onto Ow and you have COW. Khao, khao. This is just MY interpretation, I am of European decent and was born in Bay Ridge Brooklyn, home of your website. –> I am personally searching for a piece of my childhood: A b&w picture of those “ice cream truck-like” kiddie rides that circulated with bumper cars, tea cups, and others. They were made out of flat bed trucks I think, and for some reason my parents don’t have many (any?) pics of those rides!